By the end of the summer of 1994, it was predicted that the "killer bees" from Mexico would overtake the Southern San Joaquin Valley in California. "Africanized bees are here," notified Robert Page, professor of entomology at University of California, Davis, "and they will spread throughout most of California. At this point we will have to learn to live with them and educate the public." Brought to Brazil decades ago, this aggressive strain of bees had been making its way north hundreds of miles each year, while overtaking indigenous and European swarms. They were expected to create no end of problems to beekeepers because, after they take over their hives, these erratic bees tend to abandon them. The beekeeper's hives were not only utilized for their honey, but were placed in orchards for pollination purposes. "We are not going to be able to tolerate very much in Africanized bees and expect to manage them the way we do now," admitted Page. California got a reprieve when the Africanized bees decided to linger in Arizona and Texas. Some thought they turned back, becoming tired of the dryer climate. Others stated that they stopped to frolic with kinder and gentler European bees from the area. It was hoped that the union would bread out some of the fierceness of the ferocious killers. However, by October 17, 1995, the "killer bees" had colonized 8,253 square miles of three southern counties in California. It was a year before that the bee was first detected in California. "The first find was on Halloween last year, and the latest swarm was confirmed on Friday the 13th," revealed Cal Kaminskas, Riverside County's assistant agricultural commissioner. "Do you think something's going on here?" In 1998 El Nino brought more to California than just torrents of rain. Apparently the wet conditions caused by the storms allowed the killer bees to cross the desert into the Golden State. El Nino raised the flowers, which allowed the bees to procreate and move through the desert. It was predicted that the bees would reach Palm Springs by early spring 1998. P. Kirk Visscher, an associate professor of etymology at UC Riverside stated, "I expect they will be showing up in increasing numbers. A wet winter with more wild flowers equals more food equals more bees." So, by February 20, 1999, the Africanized bees were expected to arrive in Kern County, CA. The bees had already stung 28 people and killed four dogs in California. Now they were almost to the West Coast. While this bee migration was occurring, devastating whiteflys and medflies continued to ravage the fertile farming valleys of Southern California. As they migrate long distances, the whitefly prey off various crops throughout the year. The plants they settle on are stunted. To date both varieties had resisted chemical and biological attempts to control them. The crops in America were in peril from the threat of pestilence. Scientists had been noticing that the extreme weather patterns in North America, during the two years prior to 1994, were a part of a world-wide climatic pattern that left them searching hard for an explanation. There was the extra-cold summer that chilled the Northeast in 1992; hurricane Andrew, the most destructive American hurricane in history; the East Coast "storm of the century" in March 1993; the devastating flooding in the upper Midwest in the summer of '93; and the endless snows in the Northeast in early 1994 accompanied by record warm in the West. According to Dr. John Houghton, a co-chairman of an international group of scientists advising the United Nations, the weather patterns around the world in the '80s and early '90s were remarkable for the "frequency and intensity of extremes of weather and climate." But in America, disaster had become a household word. Forty eight were left dead after the 1993 Midwest flood that caused $10 billion in damage. Farmlands twice the size of New Jersey were covered with the water overflowing from 100 rivers that were over the flood stage and 15 waterways at all-time high levels. Seventy thousand people were displaced, 421 counties declared disaster areas, 50 towns demolished and 70 percent of the region's levees vanquished as the Mississippi at St. Louis was over the flood stage for a record 80 days. In January of 1996 the floods came back to the Eastern United States as homeowners in the mid-Atlantic states shoved up the muck left by the worst flood in decades. Over a hundred thousand people were forced from their homes as a result of the heavy rains that deluded Ohio, Pennsylvania, West Virginia, New Jersey, Maryland and New York during the week of January 14. "In the spring of '87 this area flooded, but nothing like this," testified Brian Millen, owner of Catskill Offering, a department store. "This is your 100-year flood. It's just devastating." "My first reaction -- I was almost physically sick," recalled Sue Kelly of Pennsylvania. "Then I just sat back and chuckled. I mean, what can you do? You've got to make the best of it." The West Coast received its share of turmoil as well. In 1994, fires throughout Southern California leveled 1,000 homes. As if that were not enough, 2 inches of rain followed, creating landslides on the hills left barren of vegetation by the fires. Residents were evacuated from their homes in Pasadena and Altadena. In Malibu at Big Rock Canyon, ten beachfront homes were damaged by the cloudburst. Cars were buried, and people were plucked from upper floor windows and houses were swamped as tons of mud slid down the sterile and scarred mountains. "We have the fire, the earthquake, the mud and now we're worried about the surf," complained Malibu resident Carrie Sutton. "What could be next?" In August of 1994 fires raged up the central coast of California consuming more than 31 homes, six trailers, three other buildings, more than 20 cars and 48,531 acres of land. About 600 people were evacuated from their homes in Atascadero, Santa Margarita and Tassajara. Even the state university in San Luis Obispo was evacuated after the fire consumed about 75 acres of the campus rangeland. The damages were predicted to be $10 million. At the same time raging forest fires forced many to flee from their homes throughout the state. "All I've got is my three Labradors in there and my cat and we're ready to go," revealed Pamela Murphy from her front yard. She and her husband had lost 80 head of cattle and a horse trailer from their ranch. "We were totally trapped up there," she continued. "You just couldn't believe how fast that fire came through, green meadows and all." It just didn't seem like disaster would leave California alone. In a deluge that occurs only once every 500 years, the state, after so many years of drought, was suddenly under water. The damage was so great that President Clinton declared the state of Californian a federal disaster area. As the rains poured down in January 1995, five thousand residents of Rio Linda, just north of Sacramento, were ordered to evacuate their homes. "Water is almost to the top of street signs in some locations," sheriff's spokeswoman Sharon Telles testified. Army National Guard Helicopters were plucking people out of Guerneville, just north of San Francisco as the Russian River crested at 17 feet above flood stage. "Our house is gone," lamented Dave Ridley. "I've been inside my truck for three days." The Southland did not fare any better, as the intersections of Los Angeles were flooded, freeways littered, and automobiles spun out, crashed and overturned. Amtrak service was canceled because ninety miles of railroad track became submerged. Eight deaths were attributed to the rain, and the cost was anticipated to skyrocket into tens of millions of dollars. The intensity of the tragedy inspired James Bailey, the assistant chief of the California Flood Center to proclaim on January 11, "This storm of 1995 has already clobbered us." President Clinton encouraged, "You are a people who come together in times of crisis. The American people are with you." But, in spite of the president's encouragement, disaster in California was not going to let up. During the winter of '95, rains continued to pound the beleaguered state. On March 11, miles of the I-5 freeway that connected Northern California to Southern California was shut down due to the fact that a bridge washed out west of Fresno. One horrified family tried in vain to stop cars that sped ahead off a man-made cliff to plunge into the river below. Seven were killed. State engineers were stunned that a creek could wash away 10,000 square feet of man's ingenuity. "There was a lot of power in that water. It just washed the whole thing away," divulged Jay D. Walter, a Caltrans deputy district director." Then, admitting the frailty of man in the face of the his surroundings, Walter conceded, "It was one of those times when Mother Nature could have overwhelmed anything we put out there." Indeed, the creation seemed to be leveling disaster on Californians with a vengeance. This had been the 31st catastrophe to hit the state since Wilson's election in 1991. Added together, the cataclysms had cost Californians more than $28.5 billion in damages. The latest flood, which claimed at least 15 lives isolated the entire peninsula of Monterey, and severely damaged the Kern County almond industry through the destruction of trees, was the worst flood in Wilson's governorship. "At times," reported The Associated Press, "it seems that Wilson"s tenure has been a 50-month exercise in crisis management." On the first day of 1997 Northern California was up to their ears in floodwaters. "It's a happy New year if you're a duck," observed National Weather Service meteorologist Dan Keirns. Local states of emergency were declared in 17 counties as rain roared into creeks, streams and rivers that flooded under the strain. Hundreds were evacuated from homes and trailer parks that were threatened by the rising water. More than 100 people were evacuated along the Napa River alone. Along the Sacramento River about 300 people were forced to leave their homes. Some 35,000 Pacific Gas and Electric customers were without service. "It's like we're standing here on a cruise ship," described Maureen Weinstein. The marquee at the Monte Rio Theater read, "Keep high, dry and pray." January 2 proved that the 1997 flooding in Western United States had just begun. Up to 7 inches of rain caused the worst flooding in Reno in more than 40 years. Gov. Bob Mille took a two-hour helicopter ride to survey the damage. "It's awestriking from above," he detailed. "It kind of looks like the monsoon season in the rice paddies of Southeast Asia. It's very disconcerting to look at." In California, authorities ordered the evacuation of up to 50,000 residents of Yuba City and Marysville, twin cities on either side of the Feather River. Rain and melting snow also trapped 2,200 people in Yosemite. On January 4 President Clinton issued a disaster declaration for 37 counties in California and 13 in Idaho. Governors of five western states had already declared a state of emergency in 84 counties the day before. These emergency procedures were for good reason because 100,000 and 125,000 were being kept from their homes as a result of the flooding. And the deluge wasn't over yet. On January 5 a surge from at least 40 inches of rain flowed sown the slopes of the Sierra Nevada spilling out of already brimming reservoirs even though the skies were perfectly clear. "I've never seen anything like this," declared Sergio Aceves of Sutter County. Steve Martarno of the California state Office of Emergency Services indicated that at least 1,500 to 2,000 homes -- "and probably upwards of that" -- had been destroyed by the flooding that also claimed four lives. By January 6 it was reported that there had been 28 deaths that resulted from the storms since December 26 1996. Even without further damage, according to California Gov. Pete Wilson, the 1997 flood damage at $775 would be the most destructive in California history. And the damage still had not passed. By January 7, as more rivers busted through levees, the damage total passed $1.5 billion. The damages were estimated to reach $2 billion or more as 12,800 homes were either damaged or destroyed. By January 23, the flooding had become so severe that even the environmentalists had to give way to human need. Federal authorities indicated that they were suspending portions of the Endangered Species Act to help expedite the repairs. In the North Sacramento suburb of Rio Linda, where there had been frequent flooding, at least 18 people needed to be rescued by firefighters when two rain-swollen creek branches overflowed. The Western States were not going to be the sole targets of the flood of 1997. On March 1 tornadoes and spring-like thunderstorms swept across Arkansas and four other states flattening buildings, sweeping away mobile homes and flooding whole subdivisions. As many as 15 individuals were killed and many others injured. "This is as bad as I've seen it," assured Arkansas state police officer Lt. Robert Felcher. On March 3 the rising water inundated entire towns in Kentucky and turned others into islands. The next day the Ohio River swamped more towns up and downstream from Louisville. On April 7 volunteers hurriedly stacked sandbag-after-sandbag in fear that the meltdown from a spring blizzard could worsen the flooding in the northern plain states. Across the Plains, fields were sheets of white stretching over the horizon. A storm over the preceding weekend had dumped over 2 feet of snow, and now it was going to melt. Mark Seely, a climatologist with the University of Minnesota Extension Service revealed, "Everything is predicted for the Red is a flood of historic proportions." By April 20 North Dakota residents knew that these words were true. The Red River, bloated by the winter's record show accumulation, had flowed into more than 75 percent of Grand Forks, North Dakota. Most of the 50,000 residents had left their homes, with about 75 percent of the city under a mandatory evacuation order. The flooding also shut down the municipal water treatment plant, leaving about 10 percent of the city's 50,000 inhabitants who hadn't left yet without water service. The city water treatment plant and sewer system were expected to be flooded for weeks. The other side of the river, on April 21, East Grand Forks, Minn., according to Mayor Lyn Stauss, was "basically covered all the way." North Dakota Gov. Ed Schafer stated that the cleanup alone would easily cost more than $40 million. Sen. Byron Dorgan added that the cost of repairs could exceed $1 billion. "We have 10 percent of the people in North Dakota that are evacuated and displaced," said the governor, "the largest and most tragic disaster in North Dakota state history." "We'll be lucky to have a town to go back to," said Georgia Johnson, one of the 45,000 people of Grand Forks who were displaced. Gov. Schafer added on April 22, "This is going to be obviously years and years of getting this put back together." On July 29, water claimed at least five lives in Fort Collins, Colorado. Forty were injured and 20 others were missing. The cause of the disaster was 8 inches of rain that fell in the Fort Collins area. The water collected behind a 15-foot-high railroad bed. Suddenly it all broke loose in a big wave. Spring Creek, where the flooding occurred, was lined with trees and a bike bath. This pleasant creek was only about 5 feet wide and no one could recall it ever flooding. That was before 1997. The rain forced the normally docile creek over its banks, massing in a pool of water near a trailer park. After the embankment broke, the 20-foot wave slammed into the park. The deluge also devastated the campus of Colorado State University causing damage in the area of $40 million. "I know the creek well," said Colorado Gov. Roy Romer. "It just catches your breath when you see that amount of damage." Back in California, on September 5, floods washed through Red Rock canyon creating $4 million in damages. Vehicles and other equipment, buildings, and various systems, including water, electrical generating and fuel storage, were severely damaged. The park had to be closed down. Nineteen ninety-eight was slated to bring on the worst El Nino storms in history. It was expected that the West Coast would see rain as it never had before. California residents were not disappointed. By February 18 the damage had become so severe that Vice-President Al Gore visited the residents in Rio Nido who had been driven by their homes by rising water and falling mud. Gore was willing to consent to the fact that flooding had become too much to endure. "When you have repeat flooding, repeat disaster," he said, "that's an indication that you have to at least consider relocation." But El Nino was only revving up. On February 24 thousands left their homes as El Nino unleashed her fury. In Los Angeles the storm killed two people and forced thousands from their homes as hillsides collapsed, creeks flooded and tons of runoff and mud swamped roads. Eight inches of rain fell in some California mountain areas. This particular storm was the harshest of a series that caused $475 million in damage and prompted 35 out of 58 California counties to declare states of emergency. Just south of San Francisco, beachfront homes were threatened as the surf eroded away sea walls and eroded the base of Pacifica Bluffs. "The power of the ocean is just awesome -- we haven't seen anything like this," assured Pacifica Fire Marshal Steven Brandvold. In Ventura, Ca. a La Conchita neighborhood fended off a foot-deep river of mud. "It's not a pretty picture," revealed Ventura County fire Capt. Murph Walsh. February 24 left two Highway Patrol officers and others dead in El Nino's deadly wake. The two officers were on the way to rescue a motorist who had fallen into the Cuyama River. They hit a fog bank, and then suddenly fell into the river that had washed away the road. All-in-all four cars plunged into the murky Cuyama. Steven Miller, who fell into the raging waters, survived. He drove into the fog bank and the road was gone. "Then my car was airborne, my car started down nose first. I had no idea what happened. I fell for about 2 or 3 seconds. I hit the river, and it broke the driver's side window and immediately filled up the car. I thought to myself, 'I'm going to die.'" In the mean time, a wall of mud plowed down Laguna Canyon road, tossing residents around as they scrambled from their homes. At daybreak, rescuers found feet protruding from the mud as they unearthed bodies. The death toll reached nine. "It was a washing machine as far as I knew," revealed Ann Quilter. "I was just rocking and rolling and just desperately crawling my way to the top of wherever I was. "Every second, you're trying to keep your hands in front of your face to create an air pocket so that you can breathe, you won't suffocate." In Kern County, Ca., as the town of McFarland sunk into the water, damages mounted to $6 million. The board of supervisors asked Gov. Wilson to declare a state of emergency. The Sierra Mountains also felt the impact of the storm. "We're approaching 200 percent snow pack in the southern Sierra," Gene Bogart, water resources manager of the city of Bakersfield divulged. "This translates into snow depths of 8 to 10 feet through the higher elevations. That's a lot of snow." One could be certain that as these snows began to melt in the spring, more El Nino-related flooding would result. August 19, 1996 saw Northern California forests ablaze. Major fires, that began the Thursday before, had already charred 90,000 acres. Two summer homes were also destroyed in the Los Padres National Forest. The Fork fire north of Clear Lake charred 69,000 acres alone. The Akerson complex was a series of 13 fires that included part of Yosemite Park. Two dozen Yosemite Park employees in the Hetch Hetchy area were forced to evacuate as a result of that blaze. The Rogge fire, a little north of the Ackerson fires threatened several hundred residents of Tuolumne Valley. Dozens of other fires burned across nine Western states, pushing the acreage blackened to record highs. "This is the most we've burned this early in the West," admitted Renee Snyder of the National interagency Fire Center in Boise, Idaho on August 19. "There are so many fires going on at one time that the resources are being stretched. The blazes, affecting Arizona, California, Colorado, Idaho, Montana, Nevada, Oregon, Utah and Washington had already consumed 4.3 million acres. More than 4,000 firefighters were dispatched from as far away as Alaska and Alabama, including the 600 3rd Brigade combat soldiers from Colorado, to fight the blazes. One fire had burned within nine miles of the Historic General Sherman tree in Sequoia National Park. In the Cascade Mountains of Oregon, by August 25, nineteen houses had been destroyed and several others damaged. "Everything is black. It looks like death everywhere," described Kim Berroth. The homes were valued at $100,000 or more. At least 40 homes had been destroyed by fire in Oregon during the most recent fire season. On August 28, firefighters waged an air battle against an arson fire that consumed more than 18,000 acres in the Angeles National Forest. This and other fires in the Los Angeles area burned the greatest acreage since the Malibu-Calabasas fires of 1993. By August 27 nearly 40,000 acres were turned to ash in the week-old Southern California fire. In comparison, sixteen thousand acres were lost in the 1993 Malibu-Calabasas fires. On August 29 the Marines were called in to help fight the worst wildfire season in 27 years. In Colorado, the Marines were joined by the Army. Wildfires across the country had consumed over 5 million acres. October provided little relief for Southern California and the 1996 fire season raged on. On October 21 wildfires burned out of control across Southern California destroying 77 homes as the Santa Ana winds drove flames from rooftop to rooftop. Over 13,000 acres were scorched. Malibu felt the heat once again, loosing 9,000 acres. Actress Shirley MacLaine stated that defending her home from fires was becoming old hat: "I do think they ought to change the area code, though, and make it 911." Don Wigton is a graduate of the prestigious music department at CSULB where he studied under Frank Pooler, lyricist of Merry Christmas Darling, and sang in Poolers world renown University Choir alongside Karen and Richard Carpenter. During this time Don was also the lead composer of the band, Clovis Putney, that won the celebrated Hollywood Battle of the Bands. After giving his life to God, Don began attending Calvary Chapel, Costa Mesa to study under some of the most prominent early Maranatha! musicians. Subsequently he toured the Western United States with Jedidiah in association with Myrrh Records. Eventually Don served as a pastor at Calvary Chapel Bakersfield to witness thousands of salvations through that ministry. As the music/concert director, Don worked for seven years with most major Christian artist of that time while producing evangelical concerts attended by thousands of young people seeking after God. Dons Calvary Chapel Praise Choir released the album Let All Who Hath Breath Praise the Lord on the Maranatha! label. The next years of Dons life were spent as the praise leader of First Baptist Church in Bakersfield during a time of unprecedented church renewal. Don teamed with the leadership to successfully meld the old with the new through a period of tremendous church growth. During this exciting time, Dons praise team, Selah, produced the CD Stop and Think About It. Today Don is the leading force behind Wigtune Company. This webbased project located at www.praisesong.net has provided several million downloads of Dons music and hymn arrangements to tens of thousands of Christian organizations throughout the world. 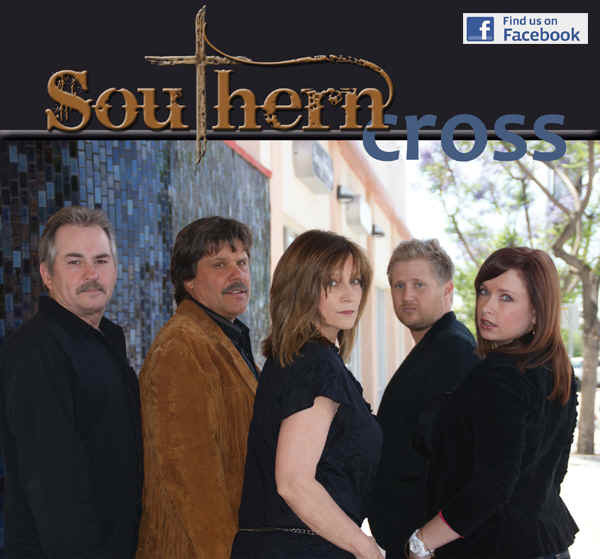 More music can be found at Don's Southern Cross Band website at www.socrossband.com. The book Holy Wars represents Dons most recent effort to bless the church with biblical instruction and direction in praise and worship. This heartfelt volume is an offering not only to Gods people, but also to God Himself. This second of five books looks into a pivotal moment in American history that corrupted her soul. It was a time when the United States was coming off an era of prosperity created by the sound economic policies, patriotism and faith of Ronald Reagan. However, during the '90s a president without scruples took the reigns of a house united and tore it asunder. As a result we live in a divided America on the brink of judgment. Thanks to the men and women who give their all for our freedom. There are many lying voices out in the world calling us to sin and despair. Jesus said "Let your yes be yes and your no's be no's." When we break our word people get hurt. 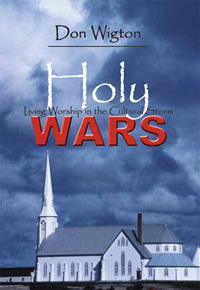 Holy Wars. . .a powerful and dynamic "must have" for every Christian who is seeking to worship God in the midst of the tempest of our modern world. 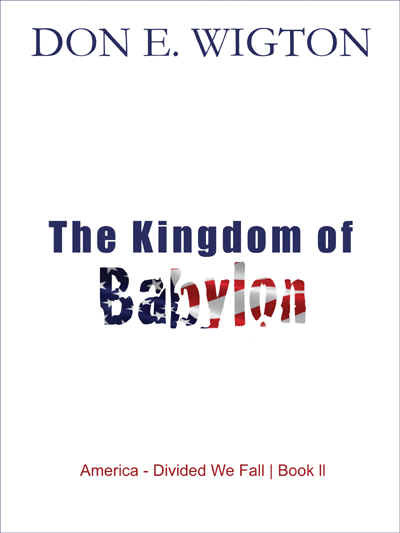 CLICK HERE or call Author House @ 888.280.7715 to purchase a hard or soft cover copy of Don Wigton's book "Holy Wars" upon which this blog is based. was formed as a service to the body of Christ to encourage scriptural worship. To accomplish this goal Wigtune Company offers free contemporary Christian praise and worship music, contemporary Christian rock and hymn mp3 and chart material along with a free on-line worship study book for personal devotions, Bible study groups, Sunday schools, pastors, music ministers and ministry training. In order to bridge the gap between the old and the new the worship study book gives solid theological and historical support to the use of traditional Christian hymn-singing in conjunction with praise chorus singing. Click on one of the links below for praise and worship, praise tabs, worship chords, praise chorus mp3, hymn stories, pro tools studio, worship leader materials to enter into the area of the Wigtune site that interests you !